Every once in a while we need to indulge in a 'cheat meal' to congratulate ourselves for all the hard work we've put into becoming better, stronger and healthier versions of ourselves. 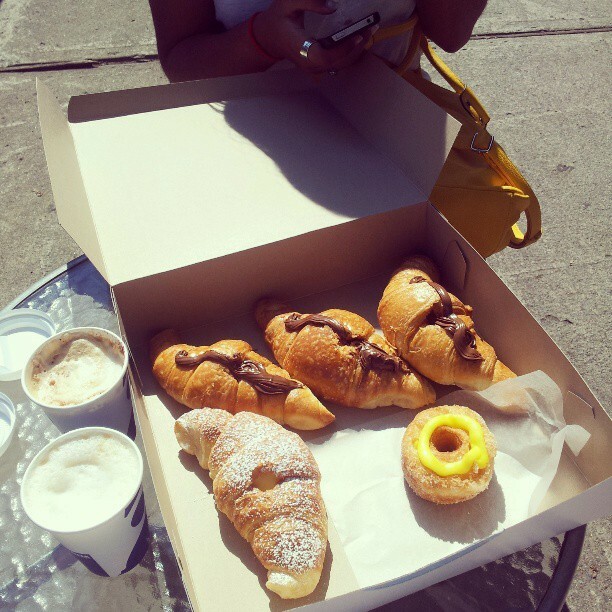 A friend and I took a quick trip to Little Italy where we had breakfast at la cornetteria. I enjoyed a cappuccino and a cornetti filled with Nutella as she recounted stories of her travels, having just returned from Italy herself. If you live in Montreal and think you deserve a cheat meal, I highly recommend this place. Great staff, food, cappuccinos and atmosphere. Loved it!